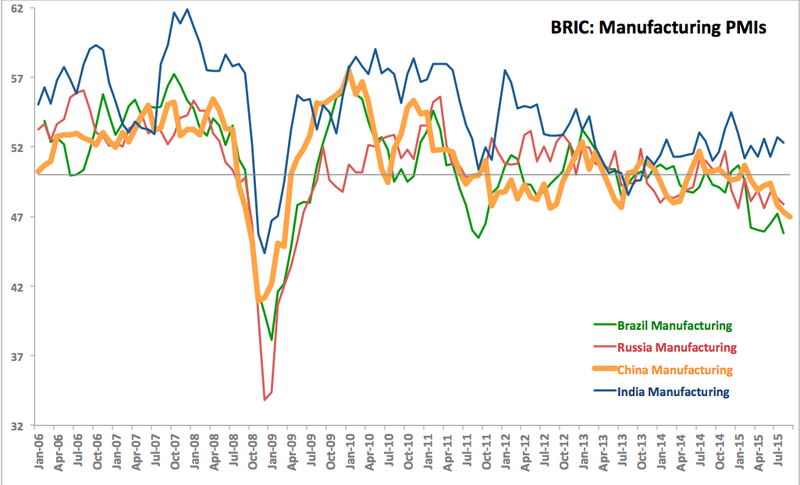 China flash Manufacturing PMI is at 47.0 for September - lowest level since March 2009 and 7th consecutive reading below 50. Over the last 12 months, the index has been below 50 in 9 months, at 50 for one month and has not been statistically above 50 since July 2014. 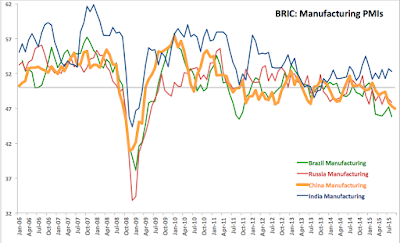 Index is now on a solid downward trend since January 2010 and looks set to be the second worst performing PMI in BRIC group (after Brazil) for the third month in a row.